Established in 1852, Murrieta is one of the oldest and most respected bodegas in Rioja Alta. Their wines are concentrated and long-lived and some, like “Castillo Ygay”, have become legendary amongst wine-lovers. 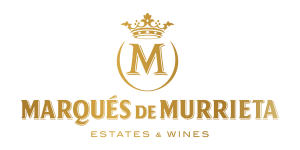 Marqués de Murrieta has not stood back and stagnated however; their 300 hectare estate produces Dalmau – a blend which represents an avant-garde expression of their terroir. Within the 300 hectare Ygay estate, surrounding the winery in the southern point of Rioja Alta wine area. There is an altitude difference of 165 metres between the lowest point at 320 metres and the highest peak at 485 metres. Grapes are first de-stemmed and then fermented in temperature controlled, stainless steel tanks for 9 days, with constant skin contact. During fermentation pumping over and punching down operations are regularly carried out. These processes ensure both effective and gentle colour and aroma extraction. Afterwards the solid parts of the grapes are pressed in a vertical press. This is a gentle process that extracts colour and ripe tannins from the grape’s skin. Rated Excellent by the Consejo. This excellent vintage has the potential to stand alongside 2005. The vintage is also benefiting from Rioja’s decision to reduce yields – by 10% for reds, 5% for whites – in order to improve quality. The weather throughout was very favourable. Fruit set was a little later than usual, in June, but the cycle through to harvest was healthy and even. Dark intense red brick colour with a mature aroma of mellow red and dark fruits with hint of spicy oak. Full bodied and generous fruit softening as it matures. Lovely finish full of spicy fruit as it starts to soften and mature. All kind of red meats, bellota ham, grilled fish and dishes with rich sauces. Serve at 16º-18º C. Open one hour before serving. TIM ATKIN (UK): 97 points. PARKER – WINE ADVOCATE (USA): 93+ points.